Does your dog, cat, rabbit, bird, or other pet need a routine checkup, shots, or emergency treatment? The Lake George Area veterinarians listed below can help make sure your animal gets the care he or she needs. One of the best parts about having a dog is being able to take him or her out and about with you! Below, you'll find trails, parks, and beaches where dogs are allowed. Always remember to follow proper dog etiquette! 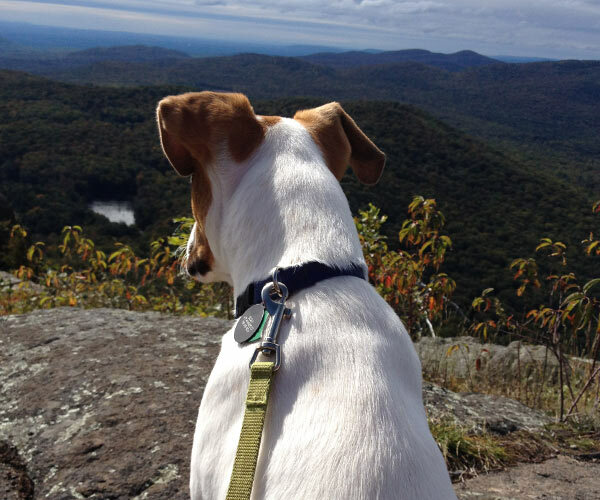 Depending on the size, age, and fitness level of your dog, you will want to research all trails beforehand to make sure they are appropriate. Located at the end of Transfer Road in Lake George you'll find a recreation park with sports fields. Within this park is Lake George's designated dog park. This space is free to visitors and locals. There is a large dog area as well as a small dog area all fenced in for safety! Keep this space clean by picking up after your dog. Owners are expected to clean up after their dogs and to obey all leash laws. Only well-trained, well-behaved dogs should be brought into the aforementioned parks and preserves. Note that dogs are not allowed in Shepard Park or Usher Park. "Dog Beach" is the stretch of state-owned land in between the Lake George Steamboat Company docks and Million Dollar Beach on Beach Road in Lake George Village. Although it isn't an official beach, it is commonly understood by locals and visitors to be a great place to let your dog frolic in the water. Be aware that most dogs at Dog Beach are off-leash, so you should only bring your dog there if he or she is obedient and friendly. As always, pick up after your dog.